Have you thought about how to clean an oven lately? If you consider yourself to be a clean person then you probably tend to the more visible areas of your home on a regular basis. You clean your floors, make the bed, wash countertops, do the laundry, organize your stuff and maybe (maybe) even scrub your shower ever now and again. But we’re willing to bet there are certain areas, particularly within your kitchen, that you totally overlook. And we’ve got some bad news: that oven you rarely look in is loaded with dirt and germs. Think about it—you cook food, and often that food, or the grease from that food, spills over into your oven. When something similar happens on your stovetop you wipe it off immediately, but in your oven, those spills can be left for months, and since you rarely look in your oven to see the kind of mess you’re dealing with, you can adopt an “ignorance is bliss” attitude and leave it. Out of sight, out of mind. But that mess can really add up over time, and the longer you leave it, the bigger it gets, the more those germs can spread, and the harder it is to clean your oven down the road. 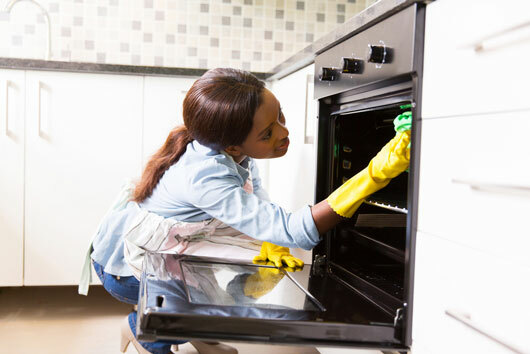 According to Leslie Reichert, a green cleaning expert, in an article for Today.com, “ovens should be cleaned at least every three to six months, or more often as needed.” If it has been far longer than six months since you last wiped down your oven, you’re not alone. But you also need to get cracking. First of all, when it comes to how to clean an oven, assess if your oven has a self-cleaning feature. 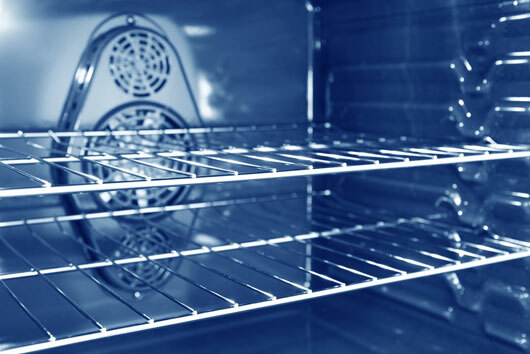 A self-cleaning oven is exactly what it sounds like—it cleans itself. But it’s not a robot or futuristic gadget with mechanical arms that magically wipe off any excess food mess with the click of a button (we wish). The way a self-cleaning oven works is that it uses extremely high heat (think 900 degrees Fahrenheit) to burn off an excess food/reside left over from baking. You don’t need to use chemicals, or even any manual labor—just set your oven to the self-cleaning mode and let the magic happen. As Huff Post reports, according to Consumer Reports‘ deputy home editor, Celia Kuperszmid-Lehrman, the self-cleaning cycle “uses high heat to burn off spills and spatters in the oven. An automatic safety lock on self-cleaning models prevents the oven door from being opened until the oven has cooled. Some models have a countdown display that shows the time left in the cycle.” Does this mean you’ll never need to scrub your oven again? Not necessarily, but it’s definitely a step in the right direction. Let’s assume you don’t have a self-cleaning oven, or you are worried that using the self-cleaning function could cause damage to your appliance, then what? First of all, you need the right tools, the right cleaning products, and an appropriate amount of time. Let’s start with the tools you’ll need. A scrubbing brush, sponge, dish clothes and perhaps even a toothbrush will come in handy. The scrubbing brush or steel wool will be used to scrape off grease and baked-on food that’s been living in your oven for months. A sponge will help wipe off residue and dirt, the steel wool and toothbrush will help clean smaller parts and harder to reach nooks, and the dish clothes are important to lay under your oven door while you clean, so no mess leaks out of your oven, leaving you with yet another job—cleaning your floors. You have a few choices when it comes to cleaning products. Of course you could use chemicals proven to remove dirt and grime—products that are created specifically with the purpose of cleaning your oven (and ideally being fume-free). If you’d rather opt for green cleaning products or DIY solutions, you will need baking soda, vinegar, rubbing alcohol, and some water. 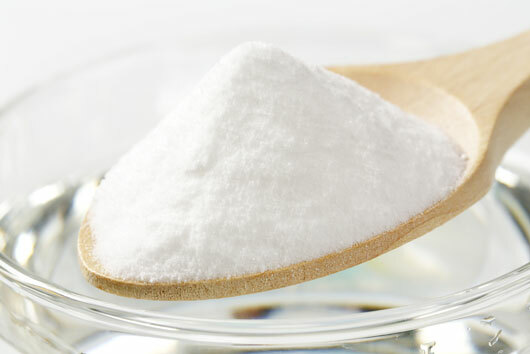 Simply mixing baking soda with some vinegar (which you spritz using a spray bottle) will break up gunk on the bottom of your oven and the inside of the oven door. For the best results let the paste mixture sit for a few hours, even over night, so you can easily wipe away the mess. The best way to clean oven racks is to wipe using a sponge and alcohol, just make sure you properly wipe away all the residue, rinse with water when you are done, and keep away from open flames as you clean. Another amazing tip that will change your kitchen, your oven and your life, is to set up your oven to clean while you sleep. An article on CNN.com explains that in just a few simple steps you can have your oven parts cleaning while you rest. First remove oven racks and let them soak in a bathtub overnight in hot water mixed with liquid dish soap. Next spray the inside of the oven door with a cleaning product or DIY solution, and let that sit overnight as well. Wipe everything clean the next day with dishrags, and you can wash all removable parts in your dishwasher while you finish cleaning. At the end of the whole process, the actual cleaning requires a few hours, or again, it’s best to let things soak overnight. So make sure you budget enough time and have the right materials and tools, and when all is said and done your oven will look good as new, will smell clean and amazing, and you won’t have to worry about it again for a few more months.